McCain 2070LXN1 NEMA Controller - J.O. 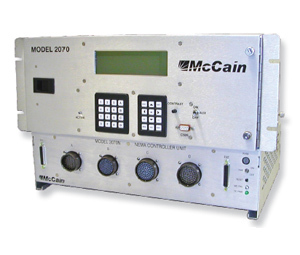 Herbert Co., Inc.
McCain’s 2070LXN1 NEMA Controller, TS 2 Type 2 compatible, is designed in full compliance with ATC (Advanced Transportation Controller) 5.2b standards and Caltrans Transportation Electrical Equipment Specifications (TEES) 2009. The 2070LXN1 is a ruggedized, multitasking field processor and communications system based on the 2070 ATC CPU and 2070-2N Field I/O modules that are easily configurable for a variety of traffic management applications in a shelf mount configuration. This unit is available as a complete 2070LXN1 controller, or the 2070 ATC CPU module can be used with your existing McCain 2070LN1 controller to create a 2070LXN1.